Joanne and Karim live far away in a land that only few Montrealers ever had the chance of visiting…the United Arab Emirates. It is a land full of sand, sun, incredible heat and stunning landscapes. Quite different from Montreal’s western life and cold winters! 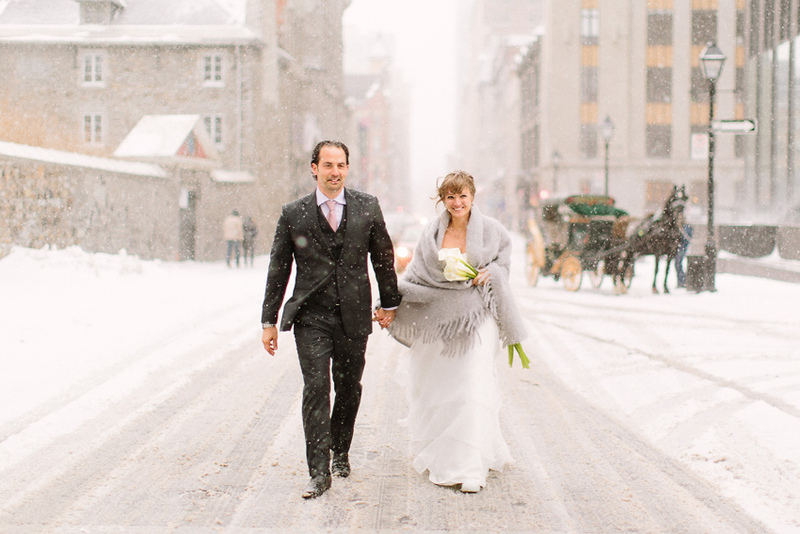 Having family here however, they both decided to tie the knot right in the heart of the Old Port of Montreal in the dead of winter. And boy did they ever choose the right day! We have gotten a crazy amount of snow this year in Montreal and surrounding areas so when Joanne and Karim’s day came near, we thought it would quiet down for a while. Mother nature wasn’t done with the snow and decided to bless us with crazy winds and a ton more snow on their special day! Most people would say that it must have been difficult to shoot in such conditions but nothing could be further from the truth. Firstly, Joanne and Karim and both their families invited us in to their lives with open arms, hugs and kisses and made us feel right at home. 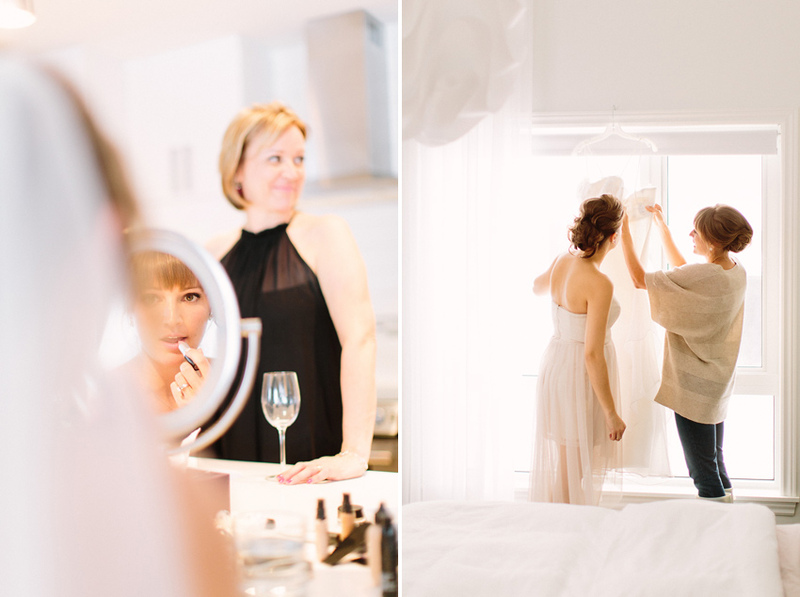 That alone makes our day exponentially more amazing but when it came time to brave the weather, Joanne wasn’t afraid to get out there in her gorgeous strapless dress and without a complaint, enjoy spending time in Karim’s arms…both full of smiles. 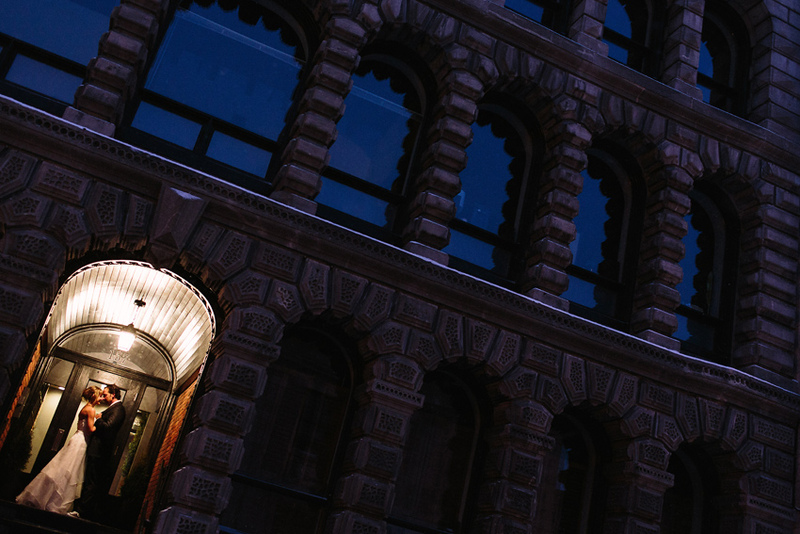 Magda and I had such a blast finding angles shooting through the blizzard snow and on the rooftops of the famous Place d’Armes square. 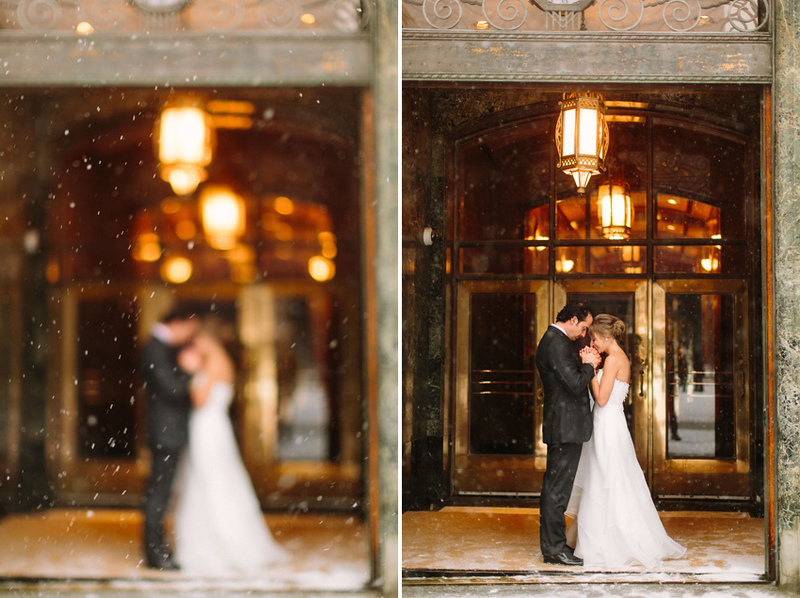 It really felt like we were capturing a winter dream for Joanne and Karim. 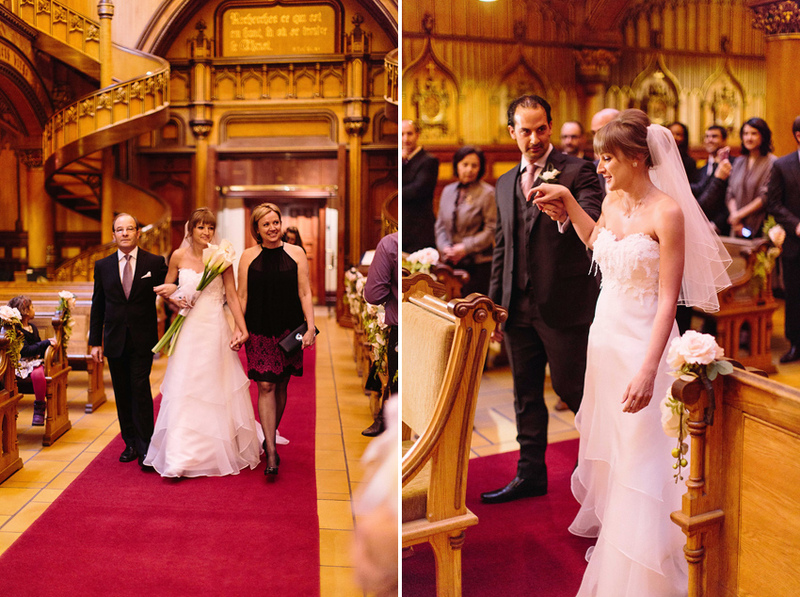 Being in the Place d’Armes square, you may have guessed that they got married in the back of the Notre-Dame Basilica in the Notre-Dame du Sacré-Cœur Chapel. Both the Basilica and the Chapel are breathtaking in their own way and we always enjoy taking photos there. We wrapped up the evening taking a few night time photos and then heading to SANTOS tapas bar for the reception just down the street. 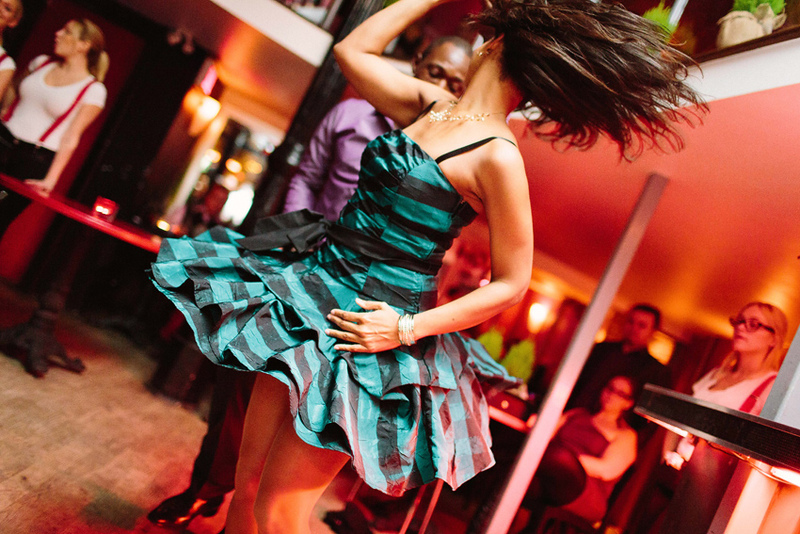 Bright red decor, chic lighting and staff in matching outfits made it a hit for all the guests. The evening was filled with delicious music, amazing drinks and even an amazing performance by Charlie from KO Entertainment on his traditional Derbake drum! We would like to thank Joanne and Karim for trusting us to capture these memories for them and for treating us as friends from the start. We hope you enjoy these photos as much as we do and perhaps our paths will cross again one day…maybe even on the other side of the world! Here are our favourite images from the day and don’t forget to click on the button below to watch the slideshow.